R&O acted as general contractor for the new construction of a 13,892 sf. two story bank building which replaced the aging bank that sat adjacent and was built in 1968. 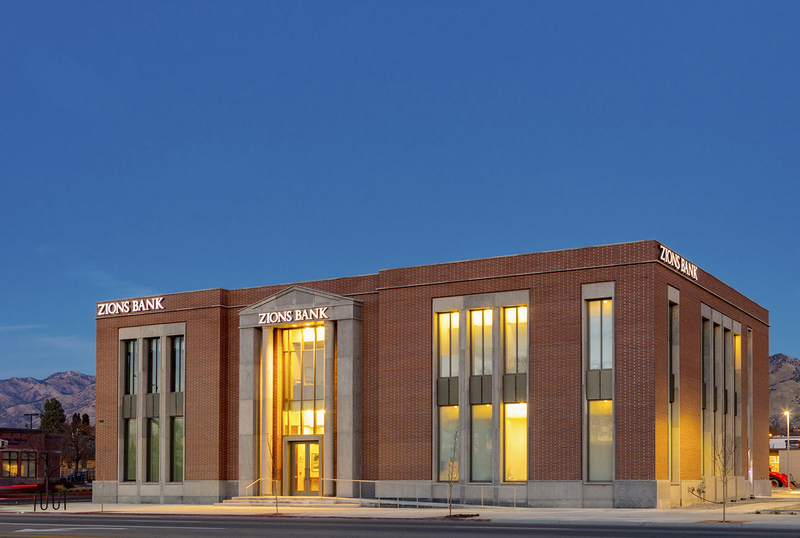 Zions Bank’s team was able to work in the old building and transition to the new building when it was completed without interruption. On the first floor of the building, R&O built a bank service area with concierge desk, lobby, teller desks and offices for client banking meetings. Raised access flooring was installed in the lobby to allow for limitless possibilities of furniture configuration and expansion. A conference room and two work rooms complete the first floor. An elevator with a custom stainless steel entrance and an elegant natural stone stairway were installed to access the second floor through the east side vestibule. 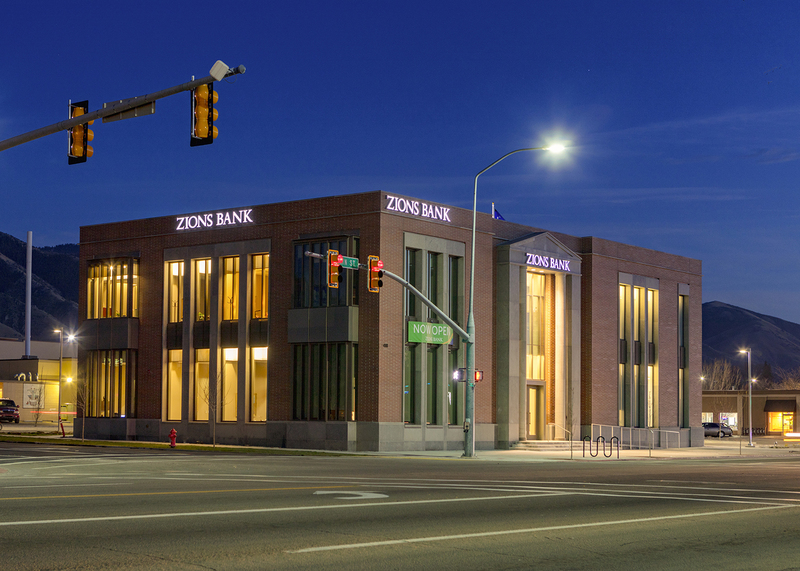 The second floor is functional office space for Zions Bank staff. R&O built executive and management offices around the perimeter of the building, along with work rooms, restrooms and a break room, and built in infrastructure for open office space in the center of the building. 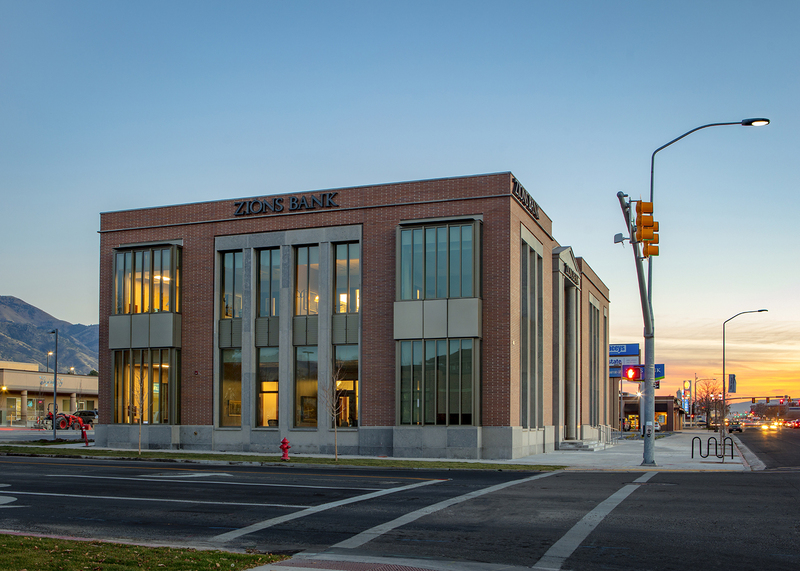 The building’s exterior is finished with brick, hand placed natural limestone cladding, anodized aluminum curtain wall glazing system, and custom decorative aluminum panels. The four 28 foot columns that sit on the east and west sides of the entries are 20” solid natural limestone. The monument stairs at the main entry off of Main Street were also built with natural limestone pavers with a sand blast finish for slip resistance. Once the old bank was demolished an underground storm water retention pond was built in its place and additional parking was added to the north.